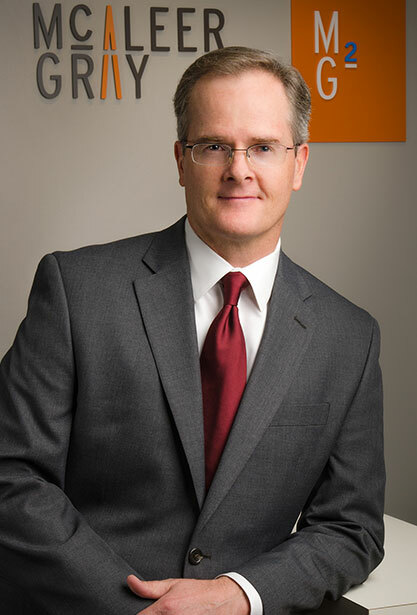 Terry McAleer is a Founding Partner with McAleer Gray. He has over 20 years executive search experience and was previously a partner in the Chicago and Denver offices of Korn/Ferry International, where he served as a member of the firm’s global industrial, manufacturing, advanced technology and professional services practices. Terry’s client experience extends from early stage private companies to very large multi-national publicly held corporations. Prior to executive search, he held operational and treasury management positions for an international distribution conglomerate. Terry began his career with a “Big-8″ international public accounting firm where he became a Certified Public Accountant. Mr. McAleer currently serves as a Director of the Accounting Advisory Board for Regis University, where he earned a Bachelor of Science degree in Accounting in 1985 from Regis College in Denver, Colorado.